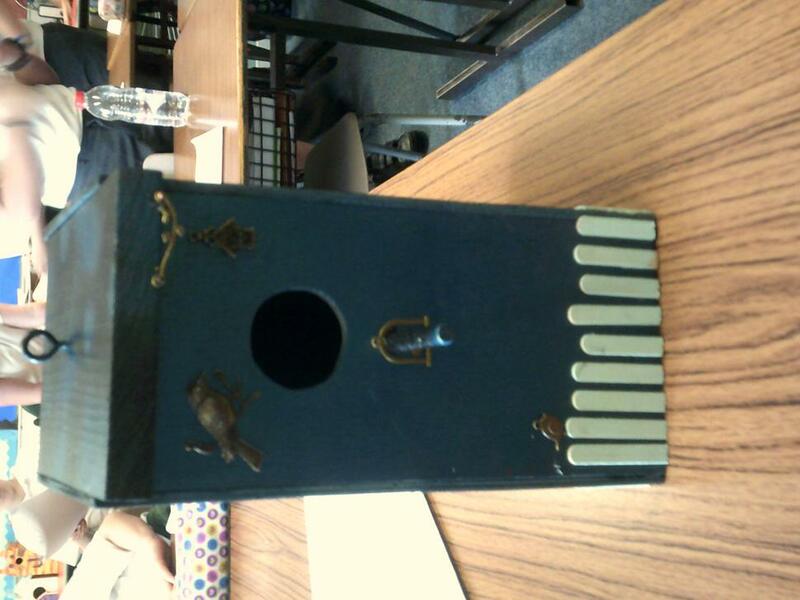 Winners from Bowling Tournament - Dunbarton Bowling Club Gilford! 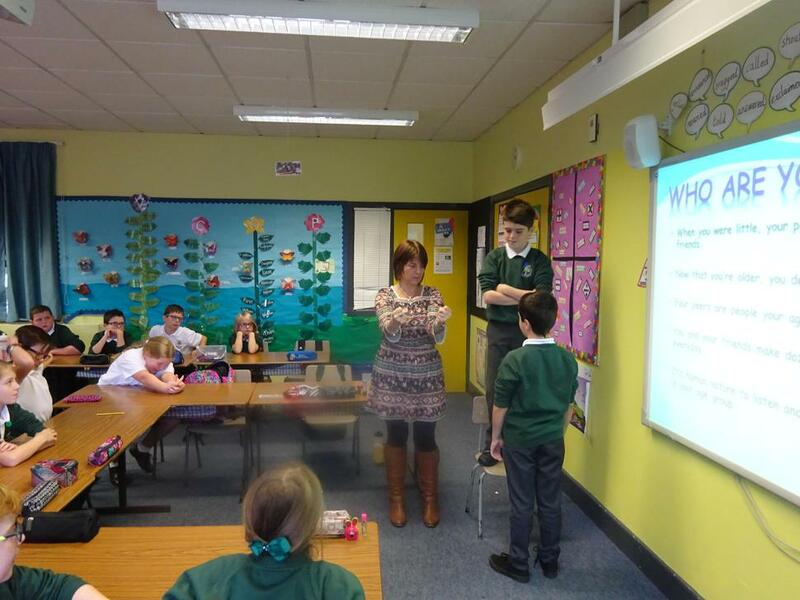 P6 making Mother's Day gifts with Mrs. Faloon. 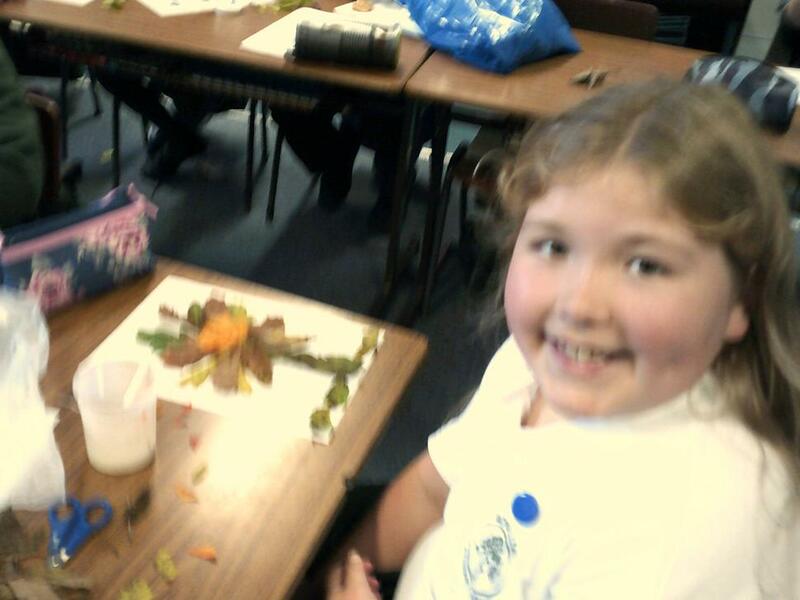 P.6 carrying out the 'Terrific Scientific' experiment on taste. 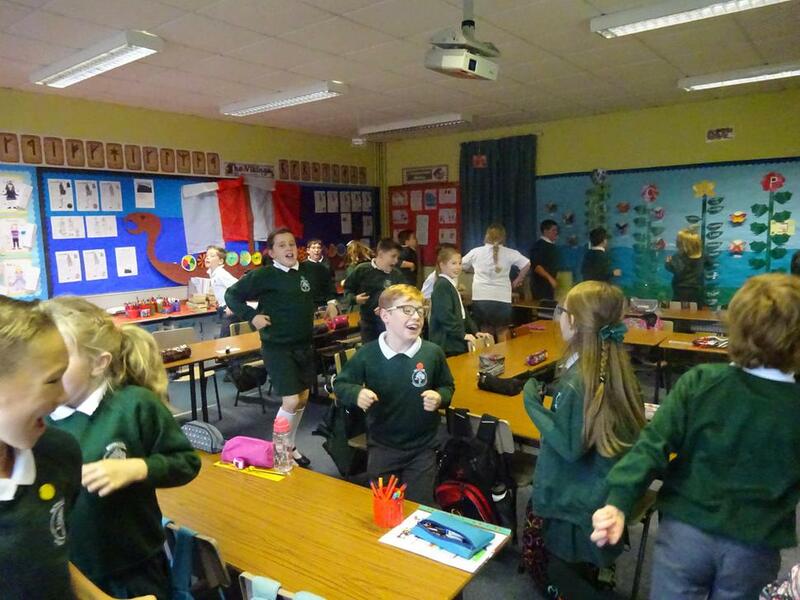 P.6 Viking day. 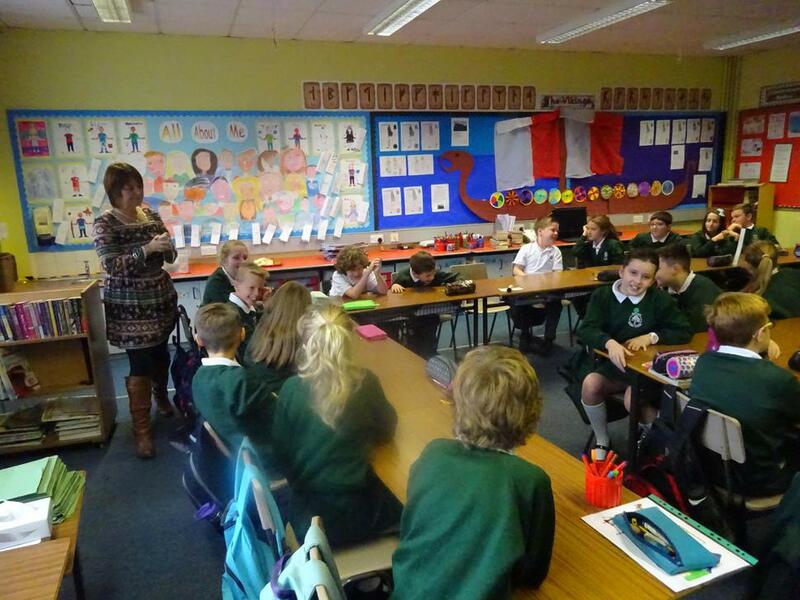 The P.6 children enjoyed learning more about the Vikings, studying Viking artefacts and dressing up in Viking clothes. 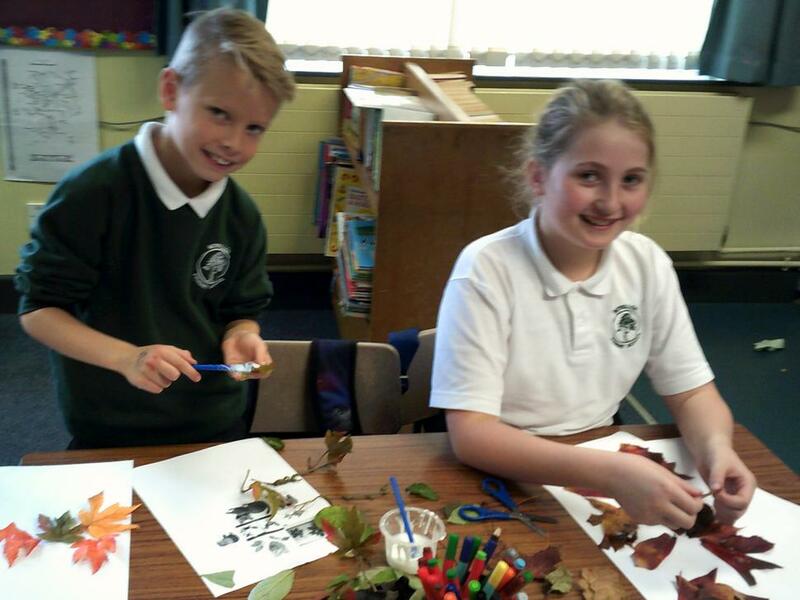 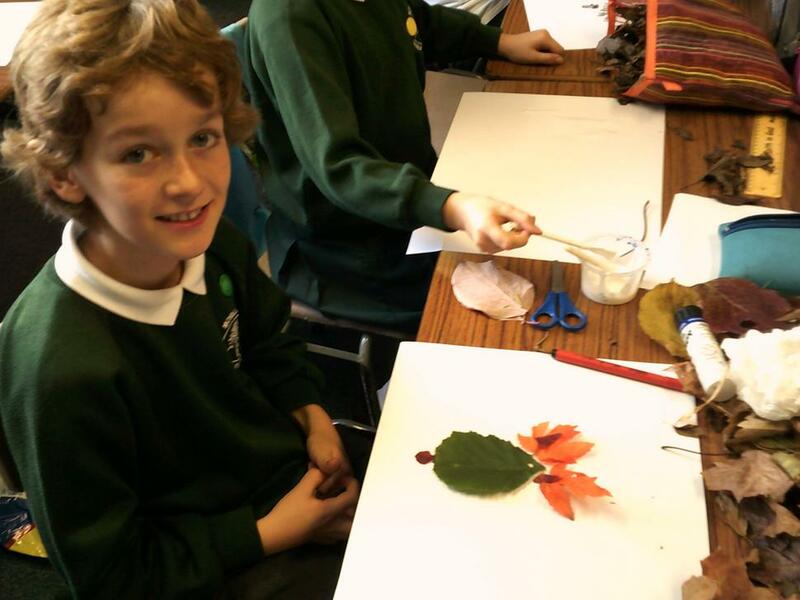 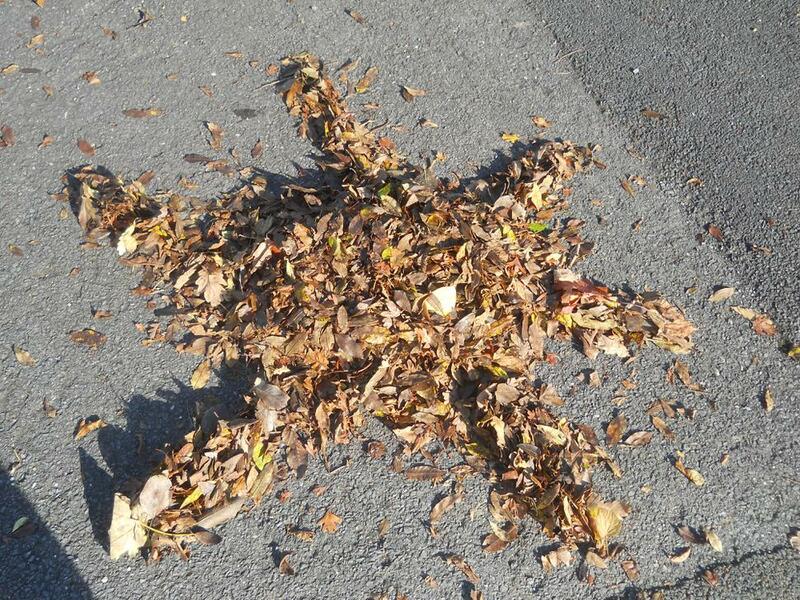 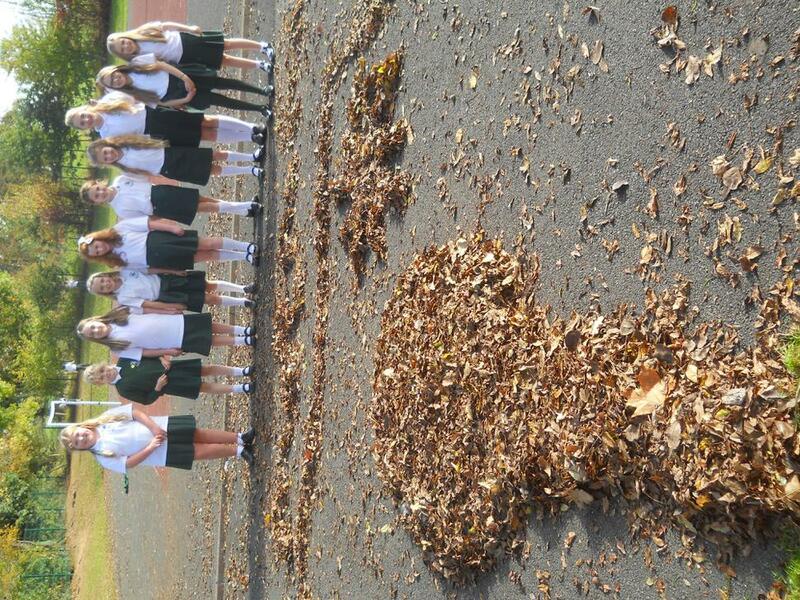 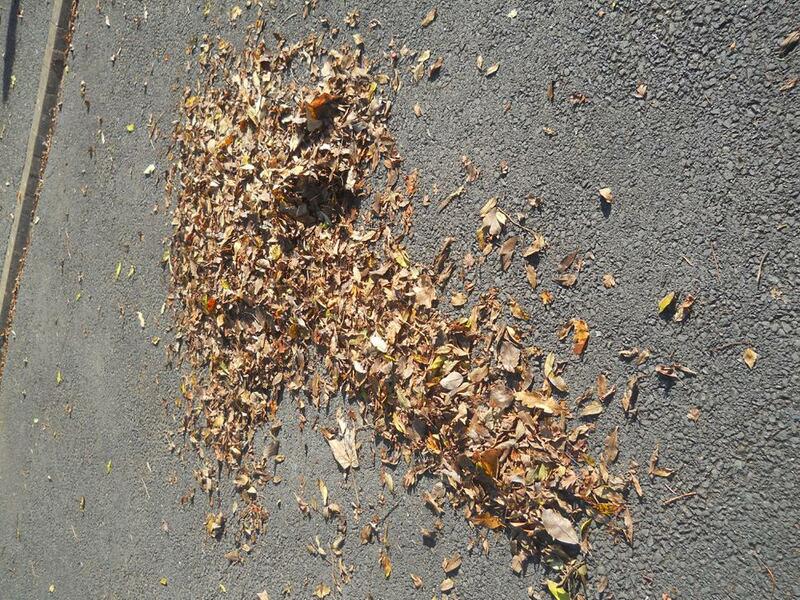 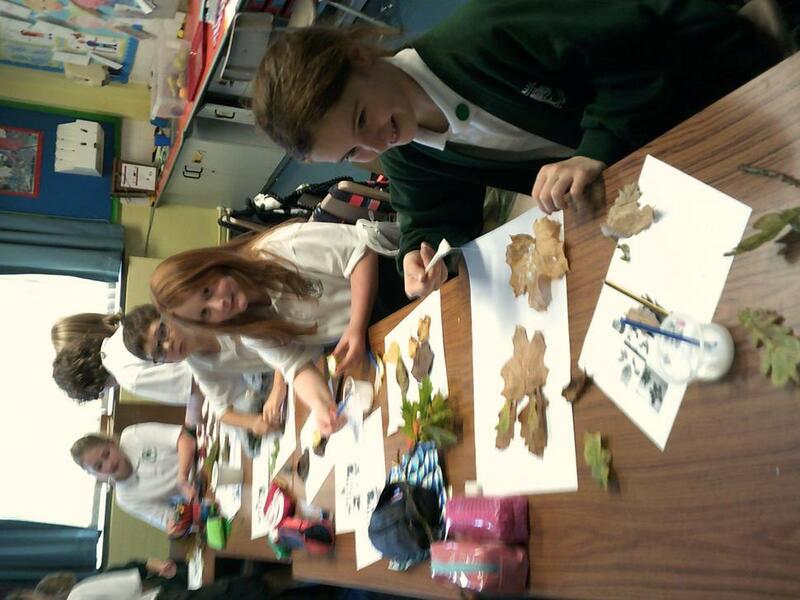 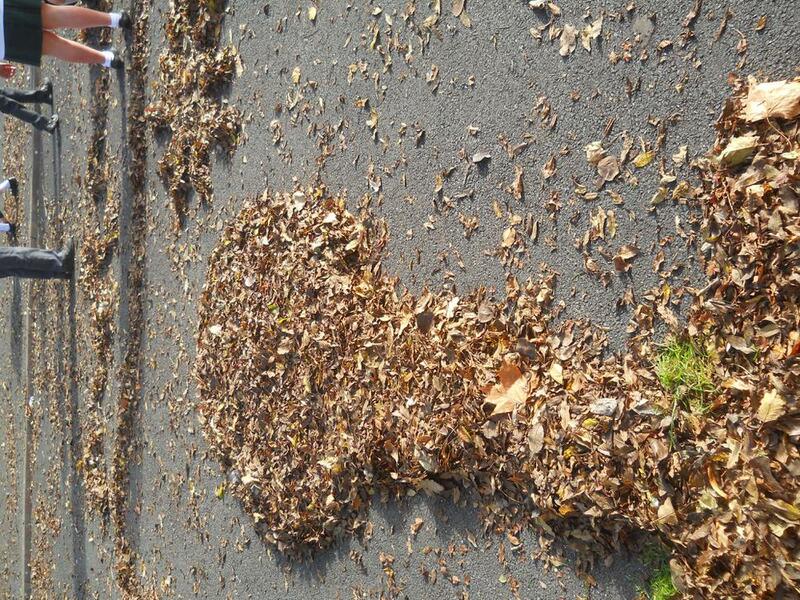 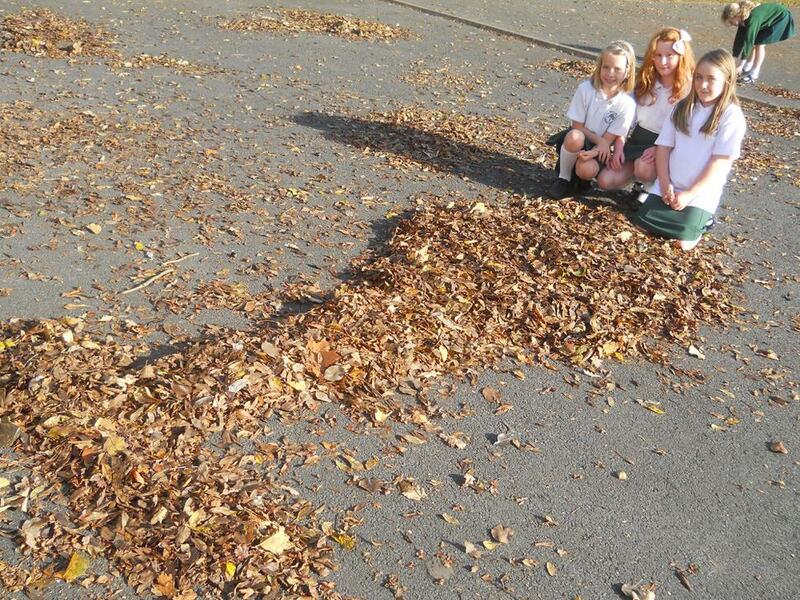 P.6 enjoying making pictures from leaves. 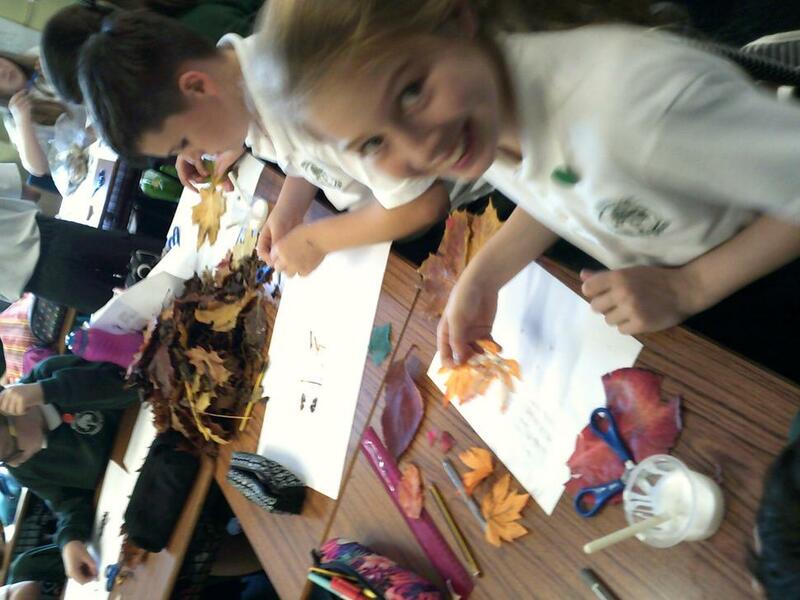 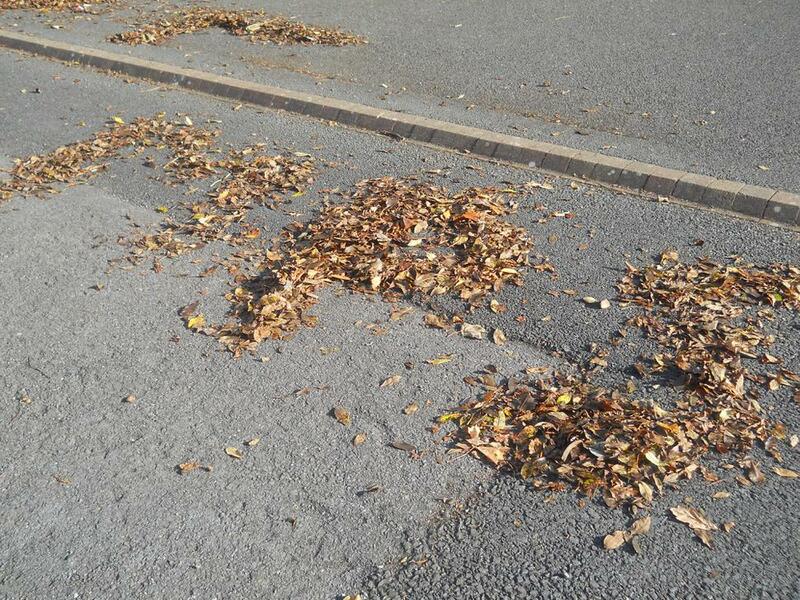 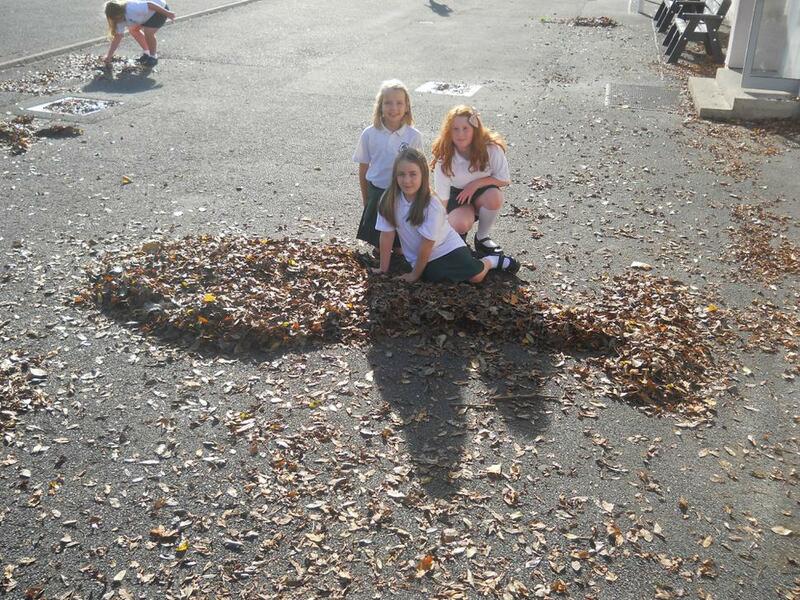 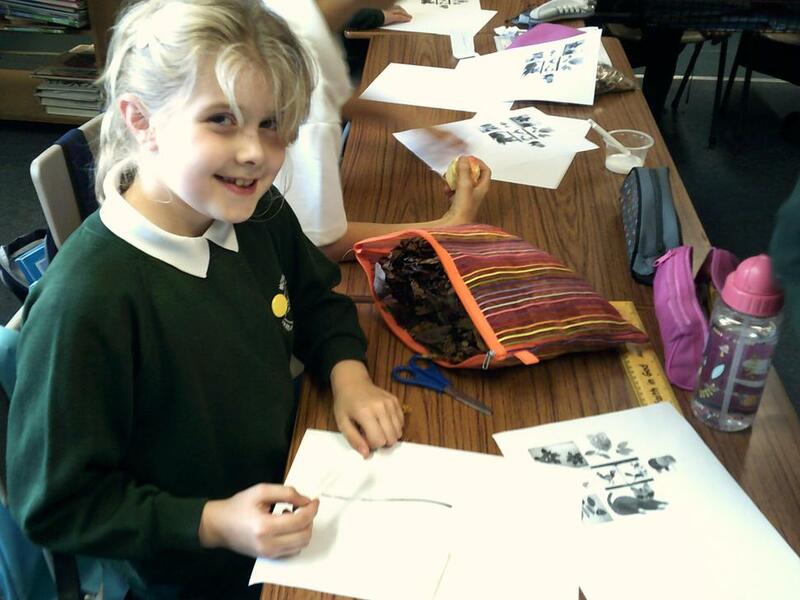 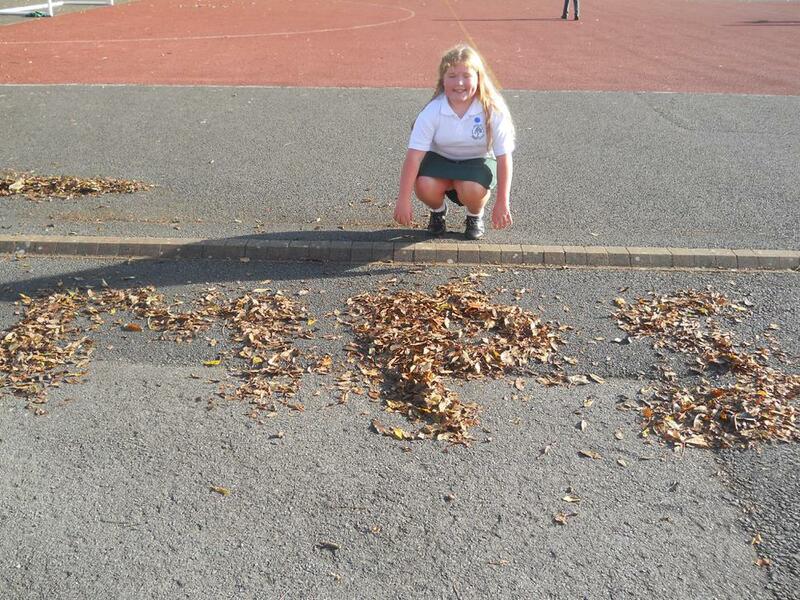 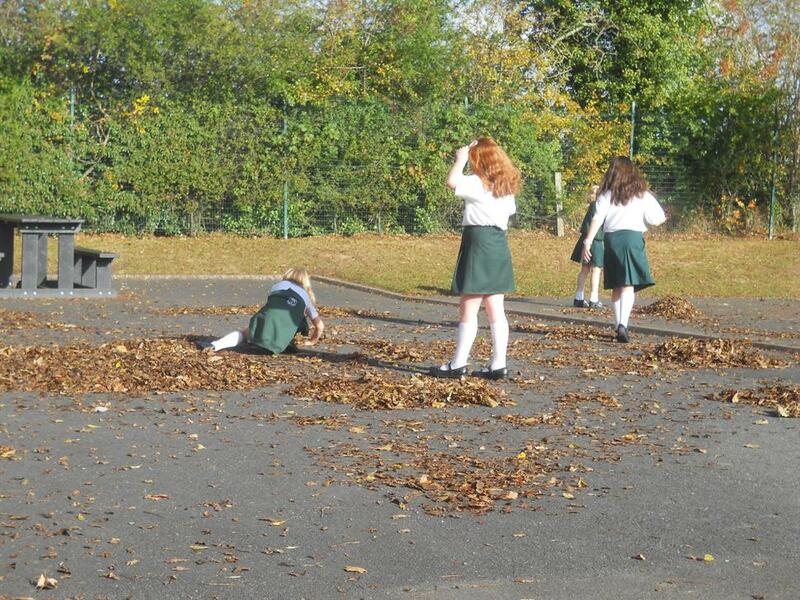 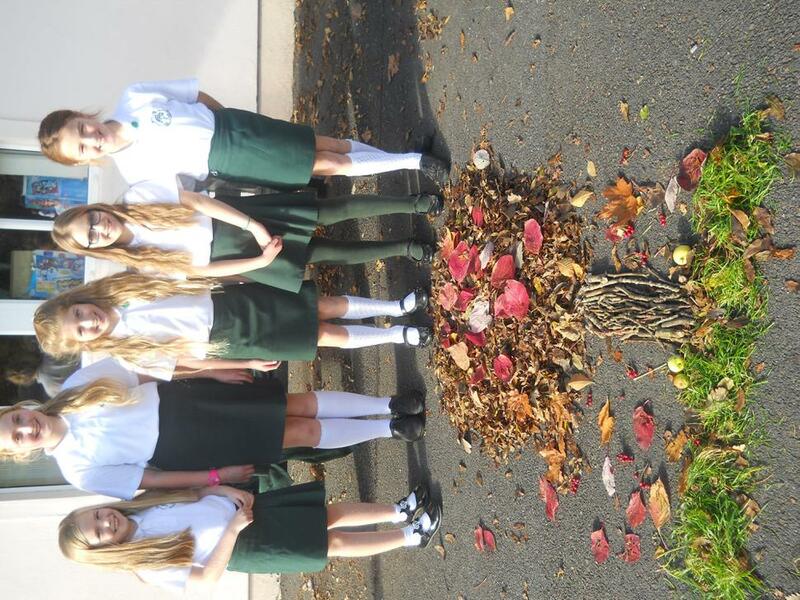 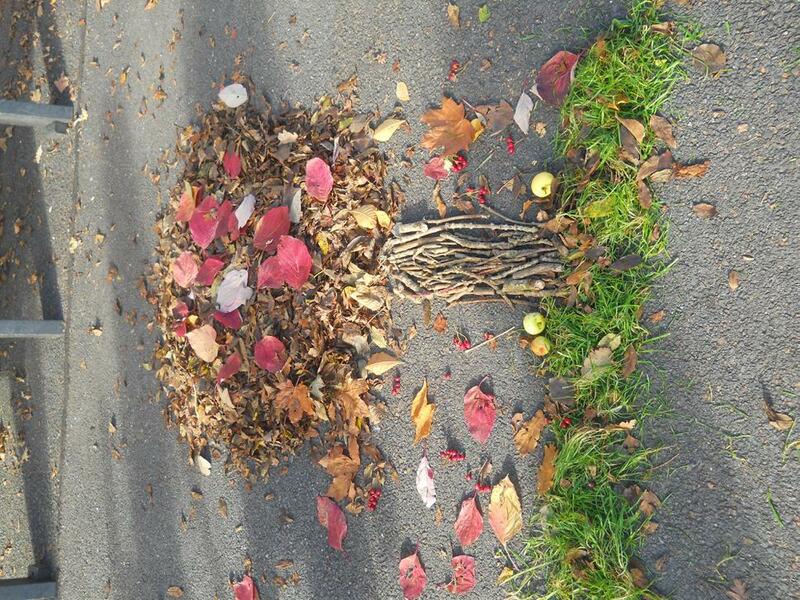 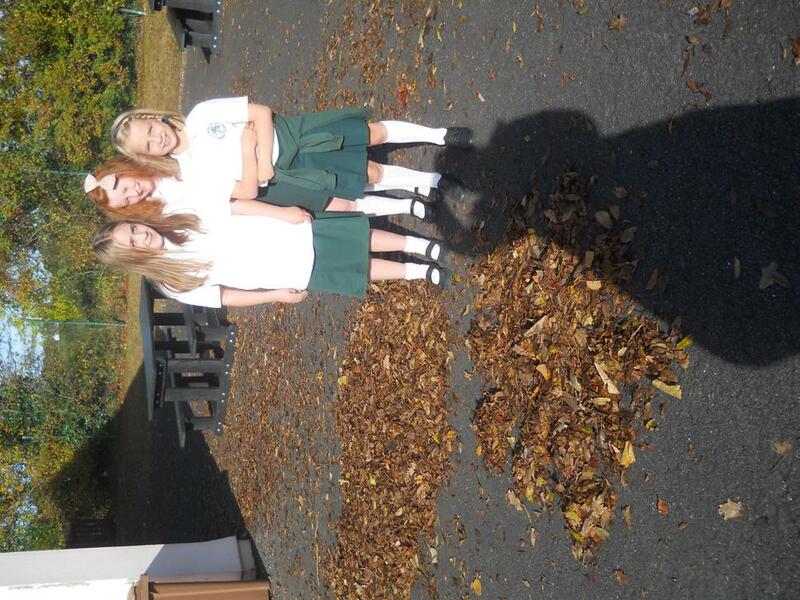 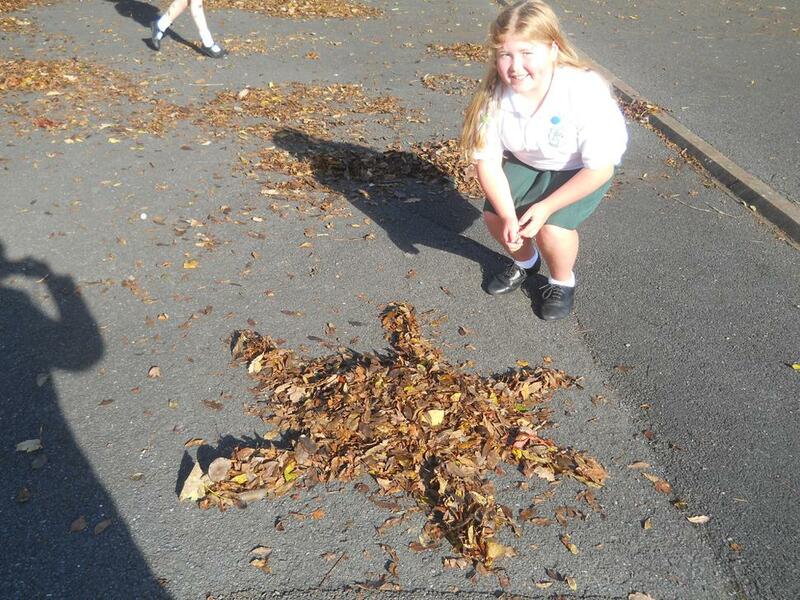 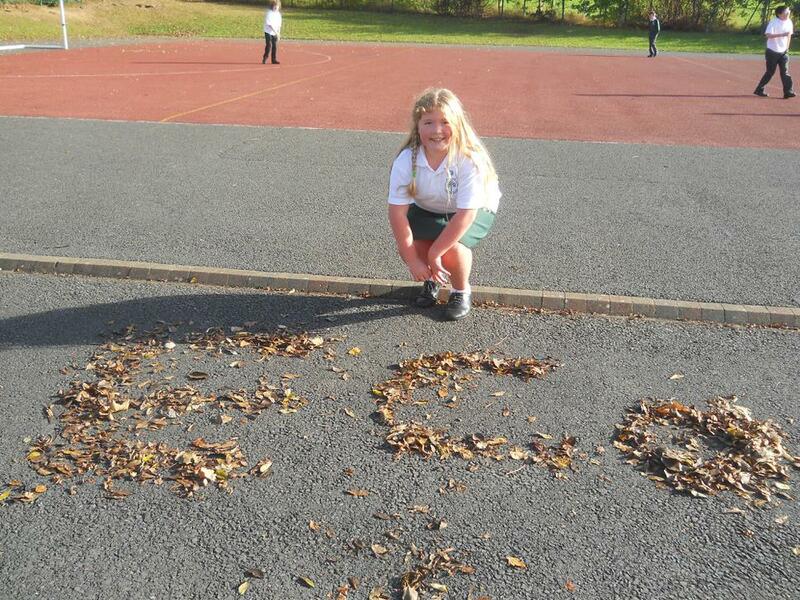 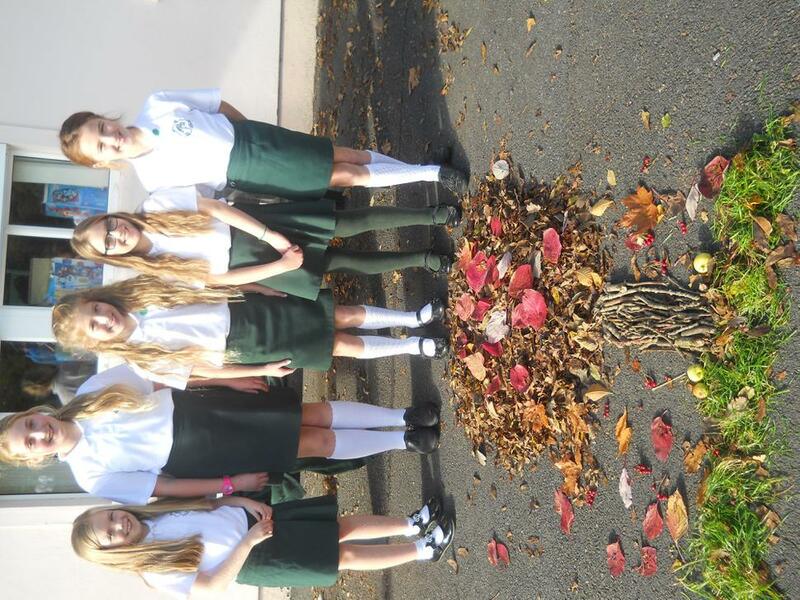 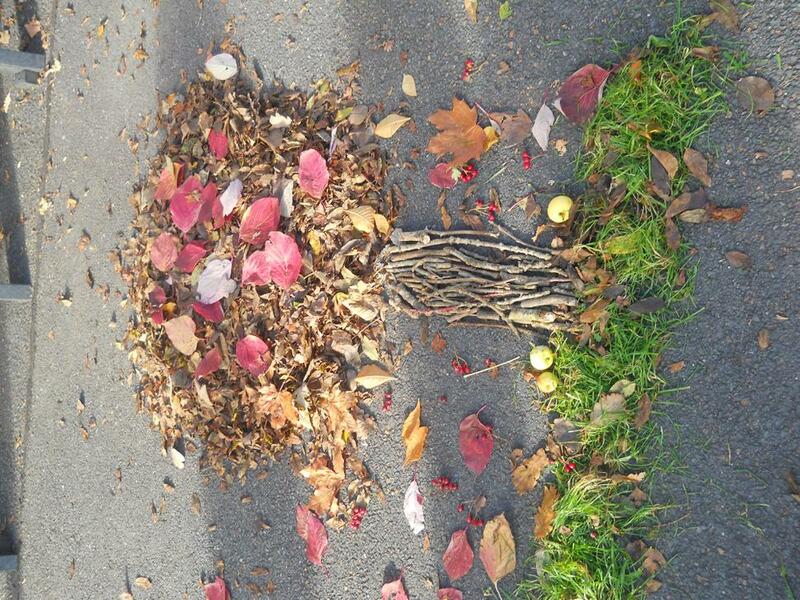 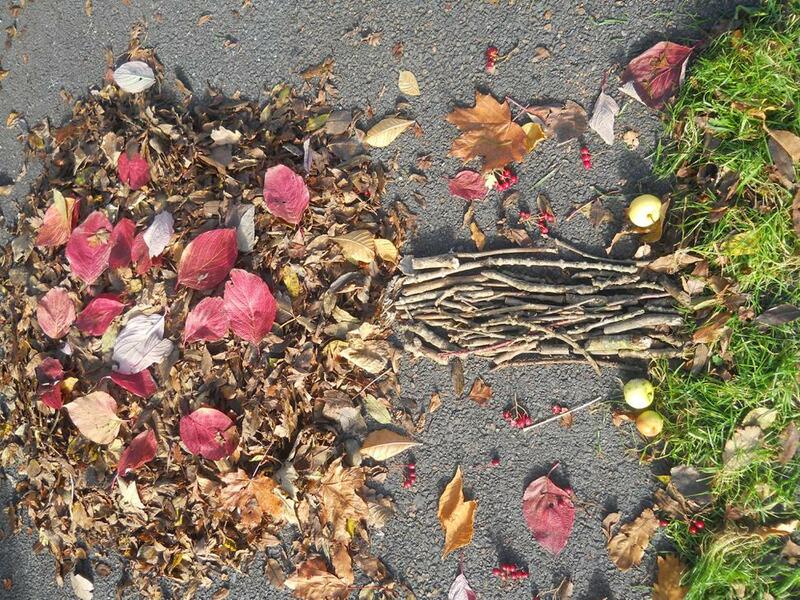 As part of our eco- schools we saved paper and used things from our natural environment for our art activity. 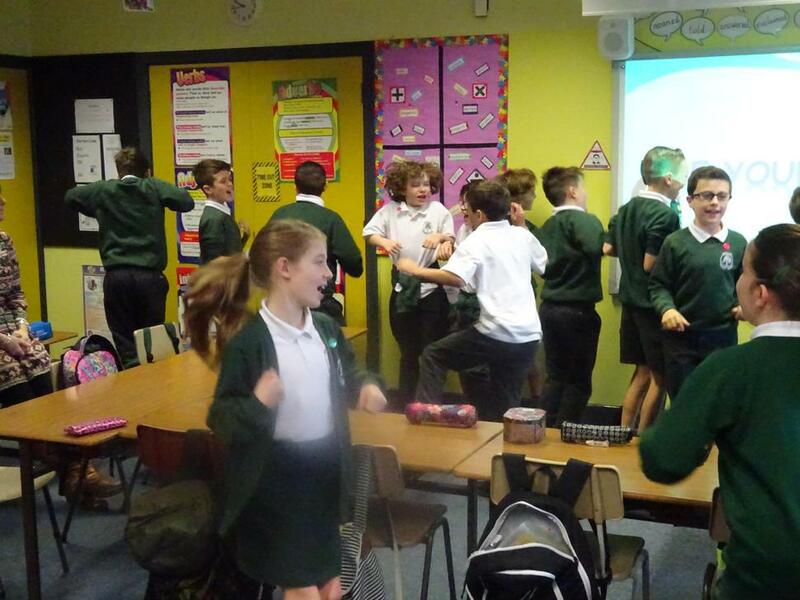 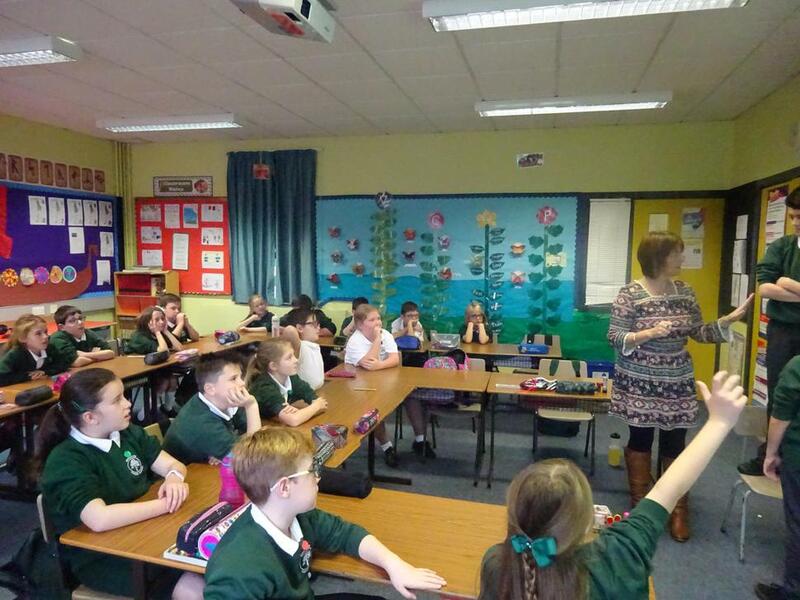 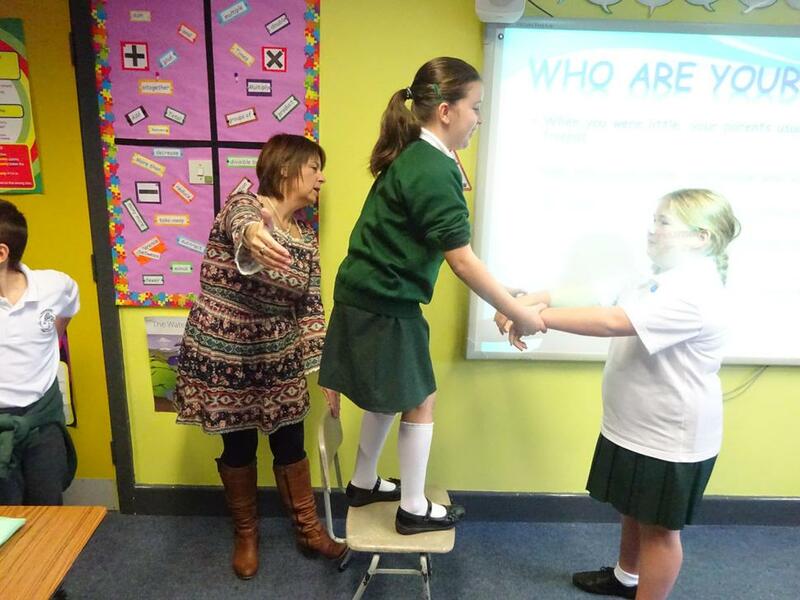 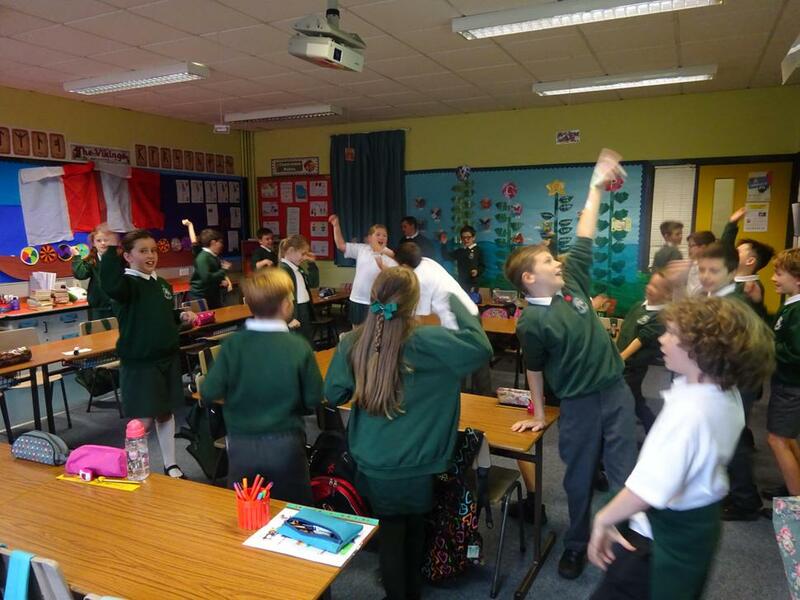 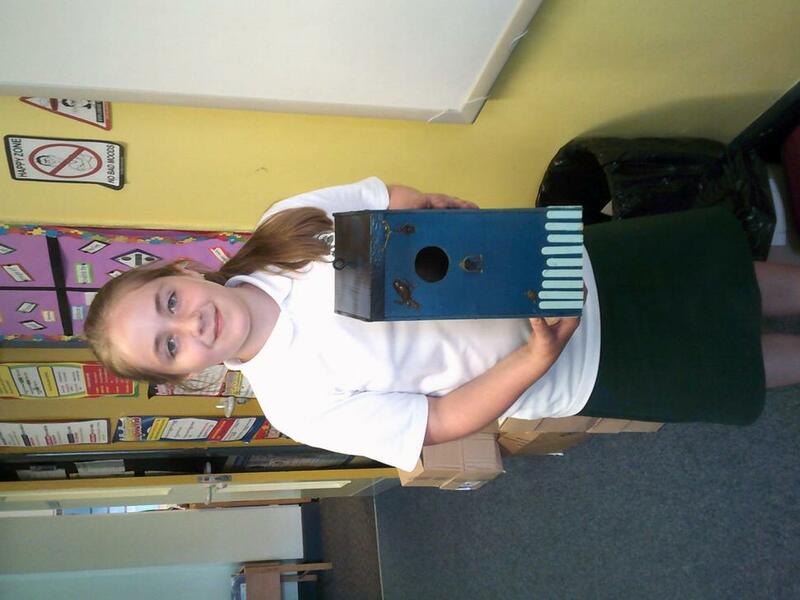 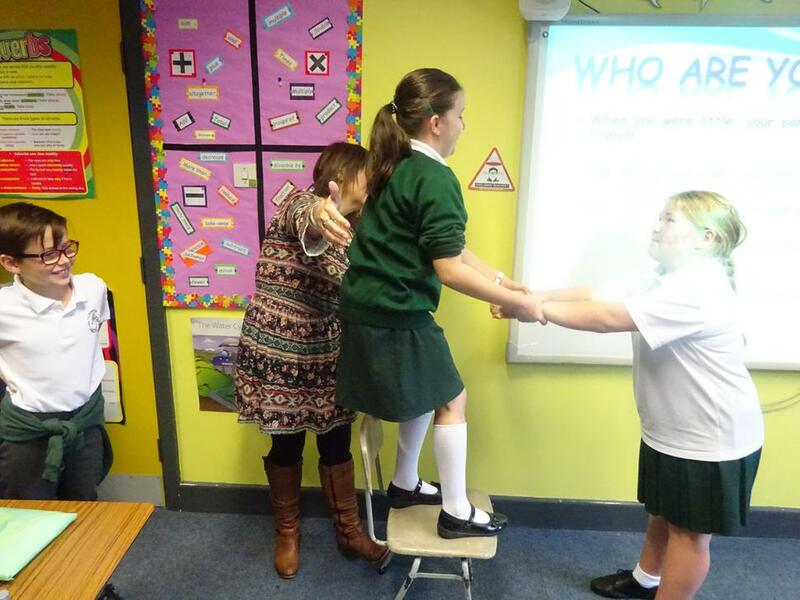 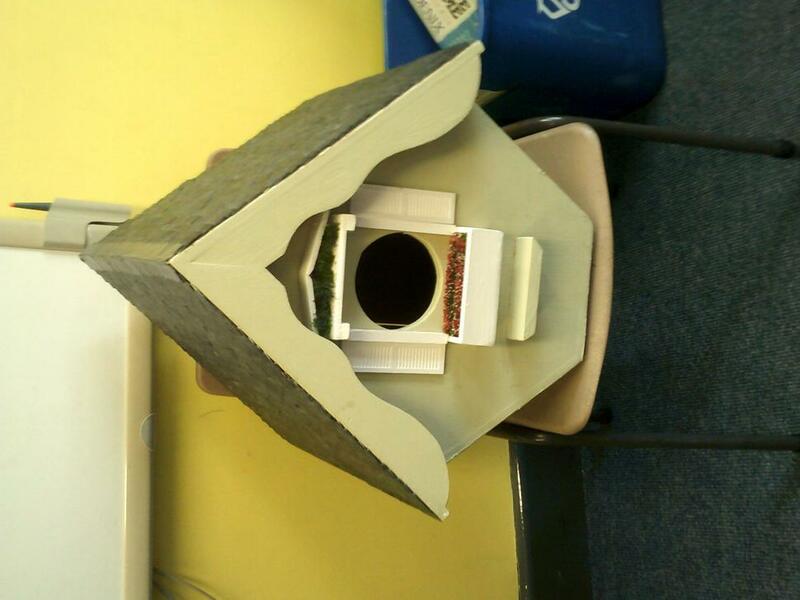 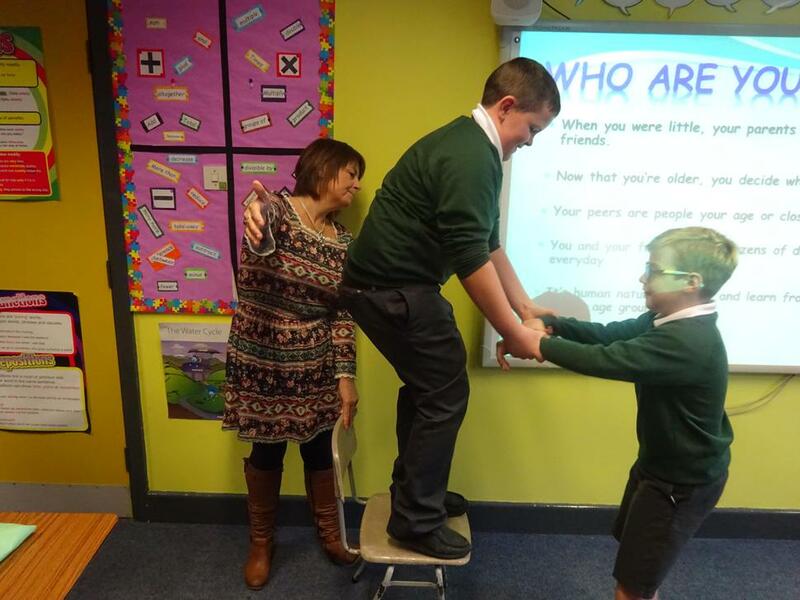 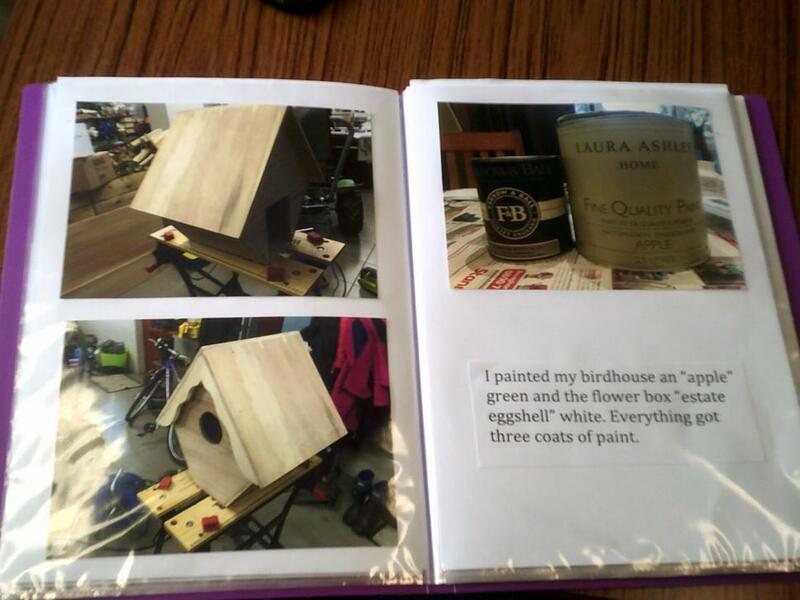 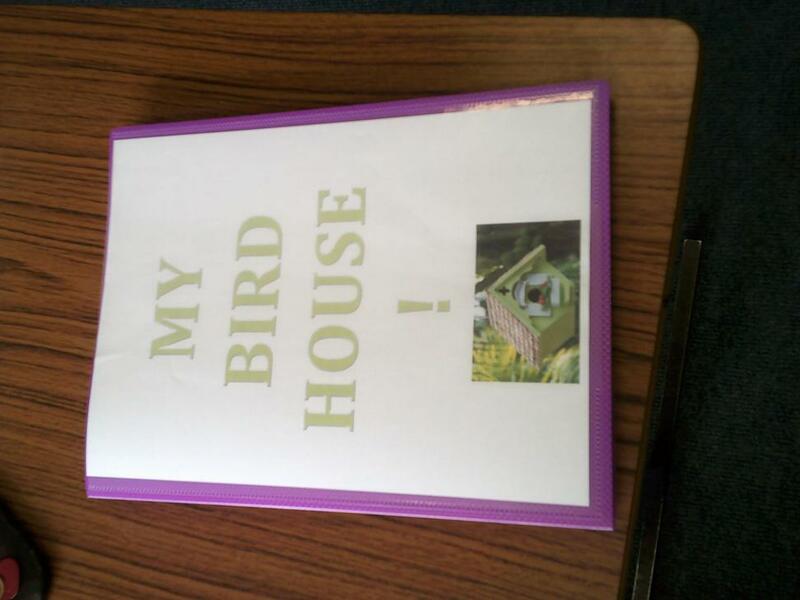 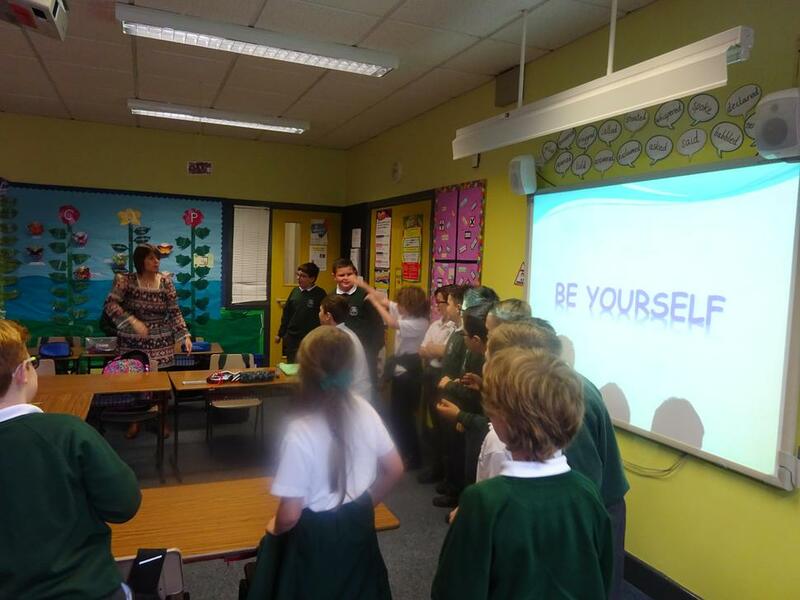 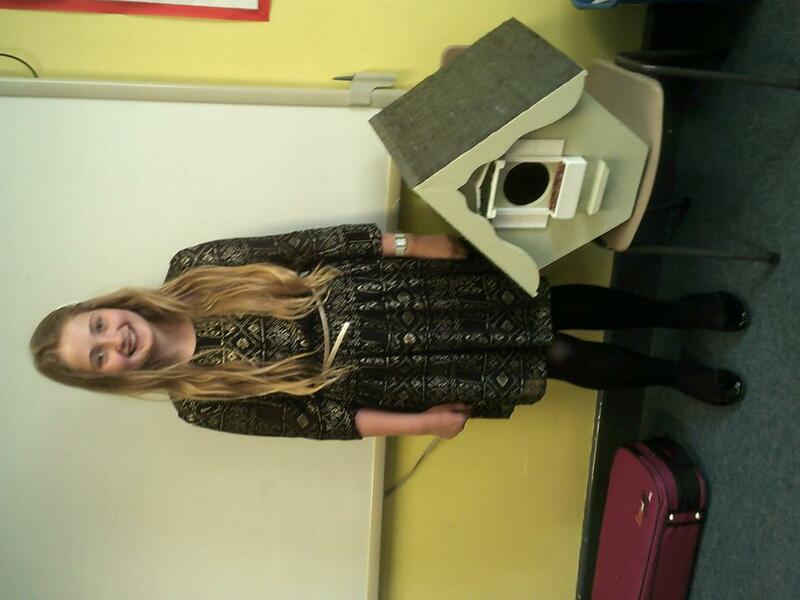 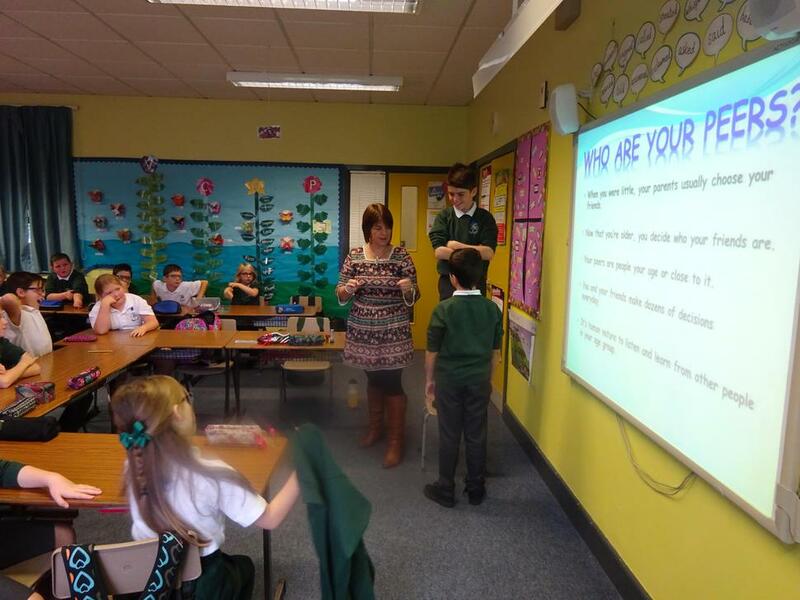 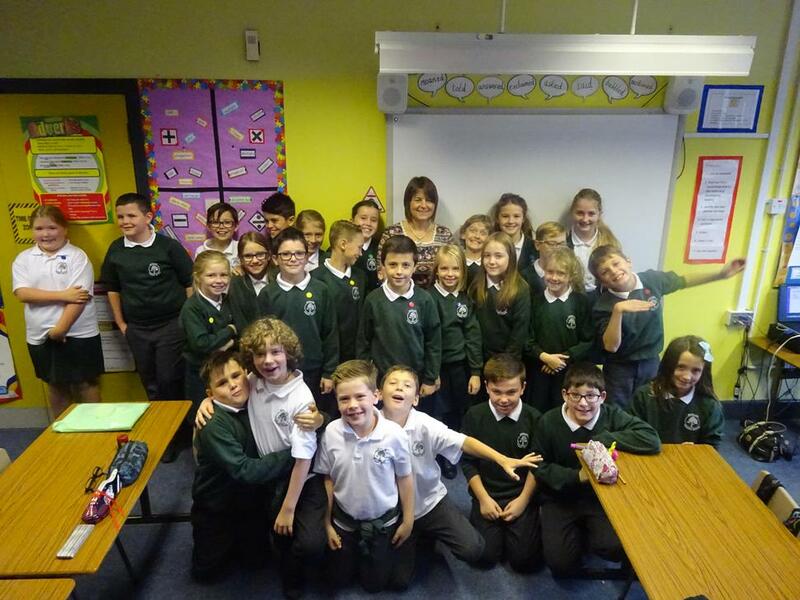 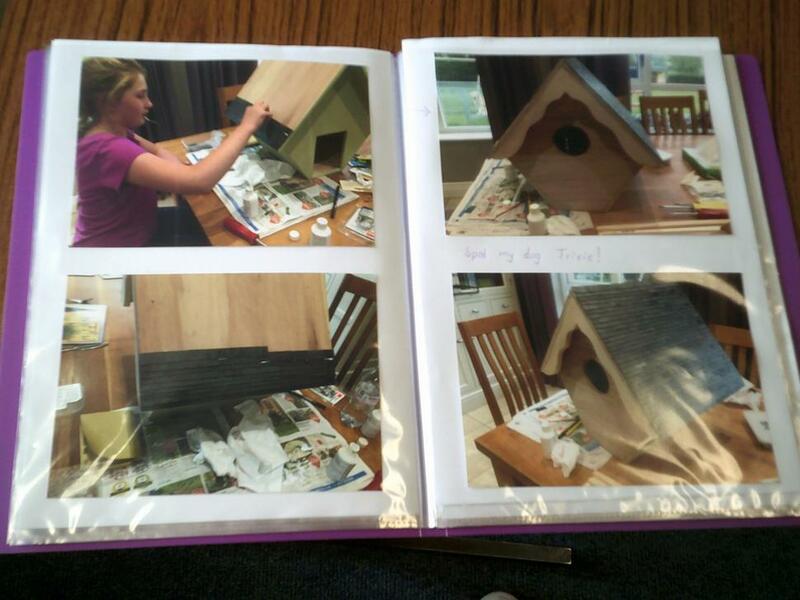 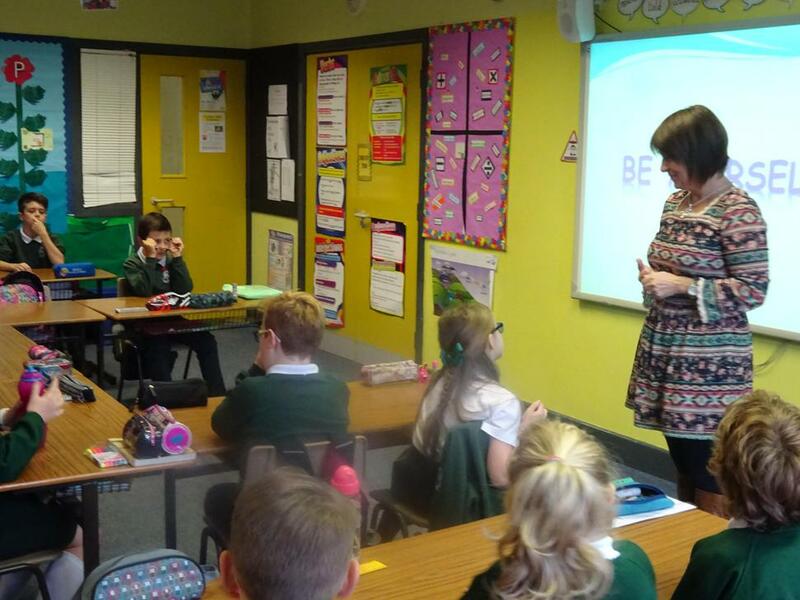 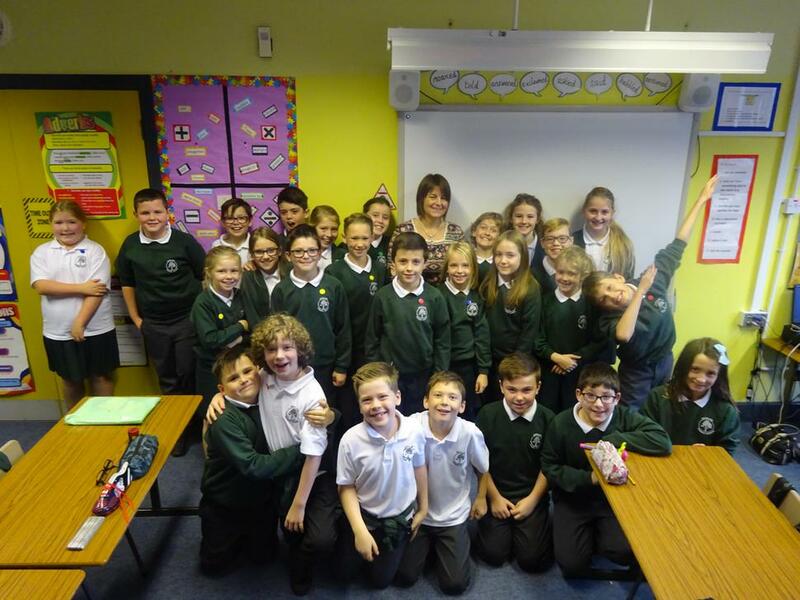 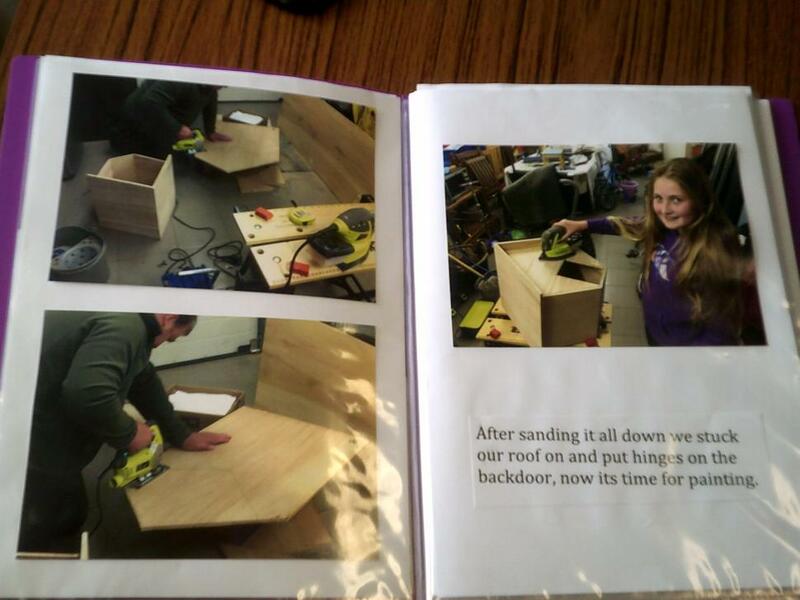 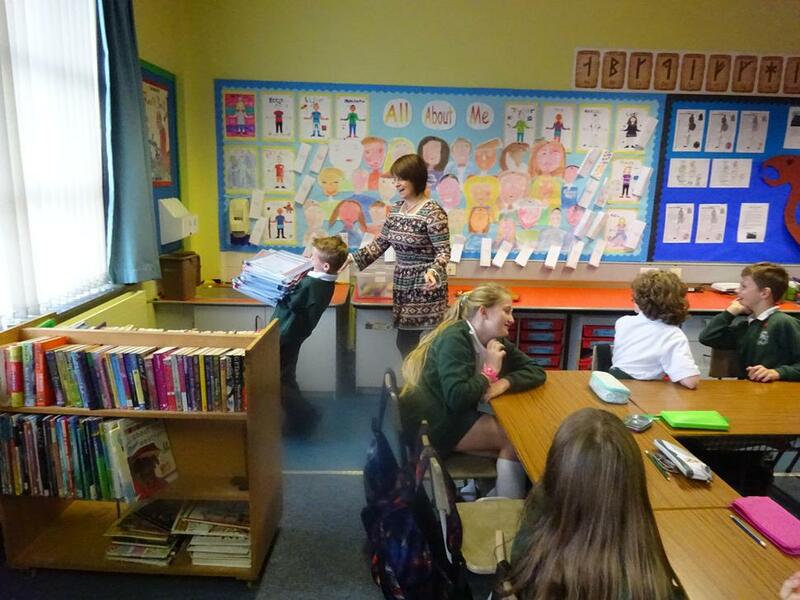 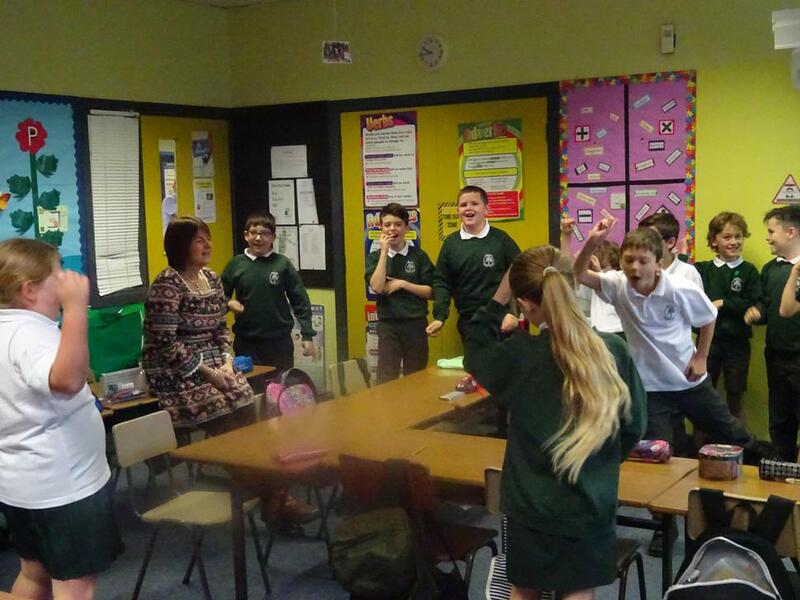 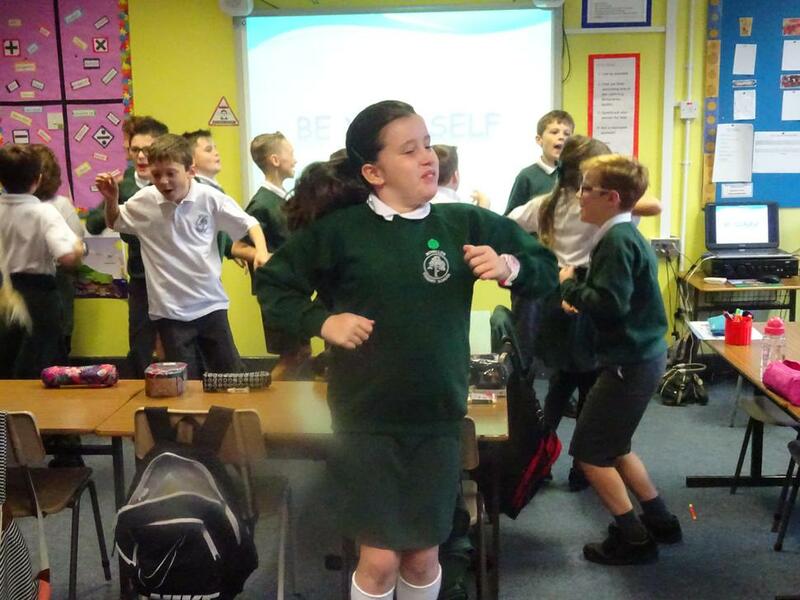 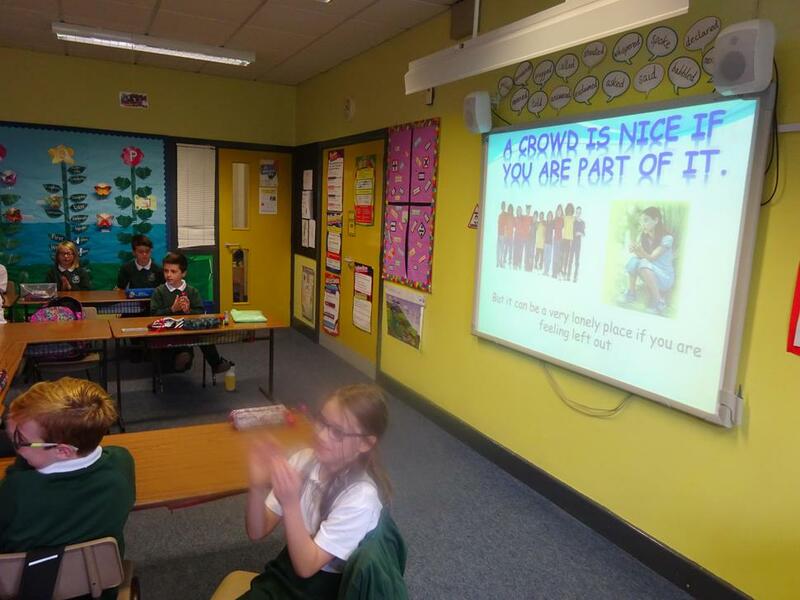 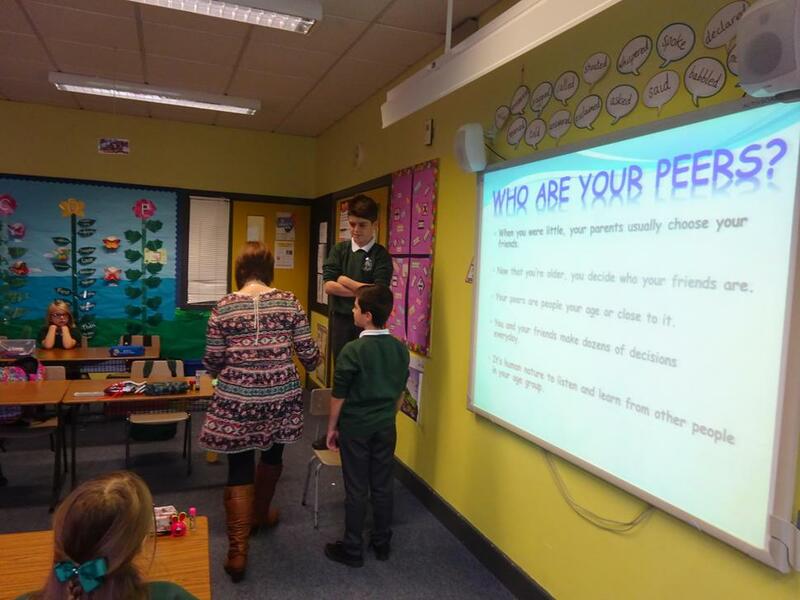 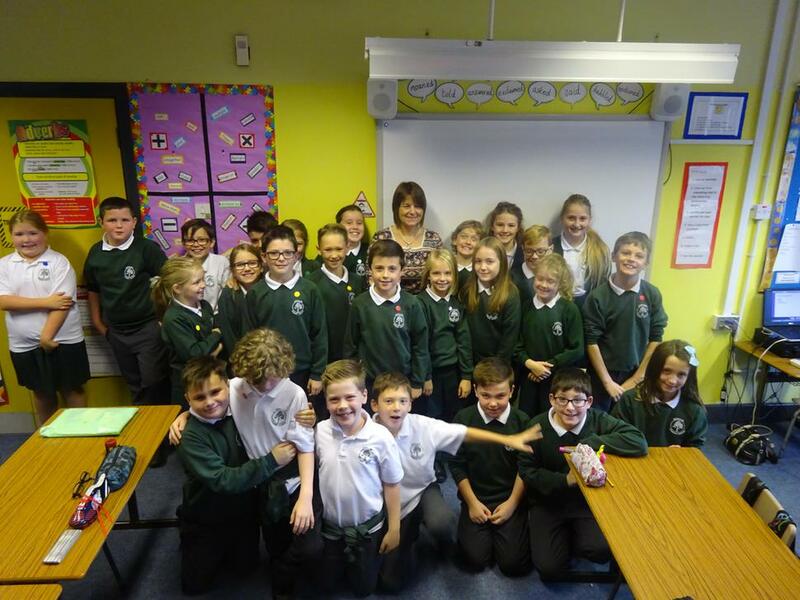 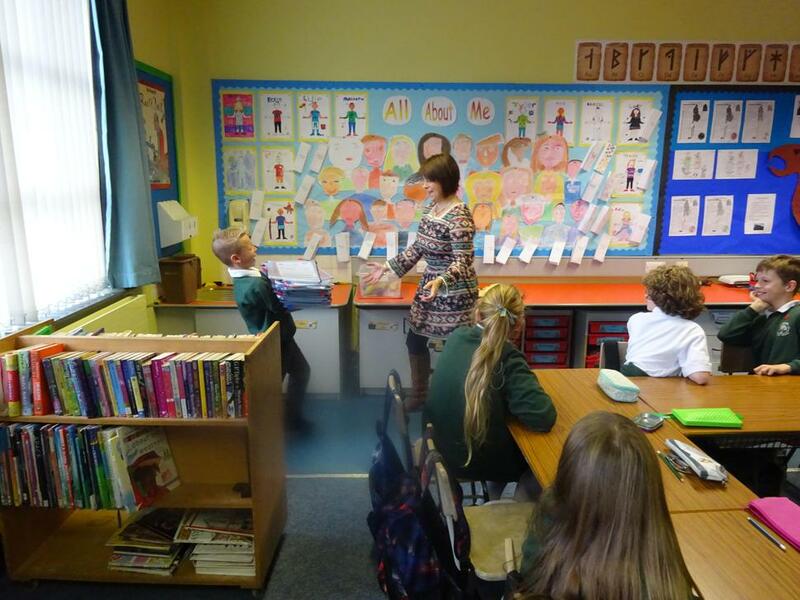 Jeanie has been teaching PDMU in Primary 6 this term. 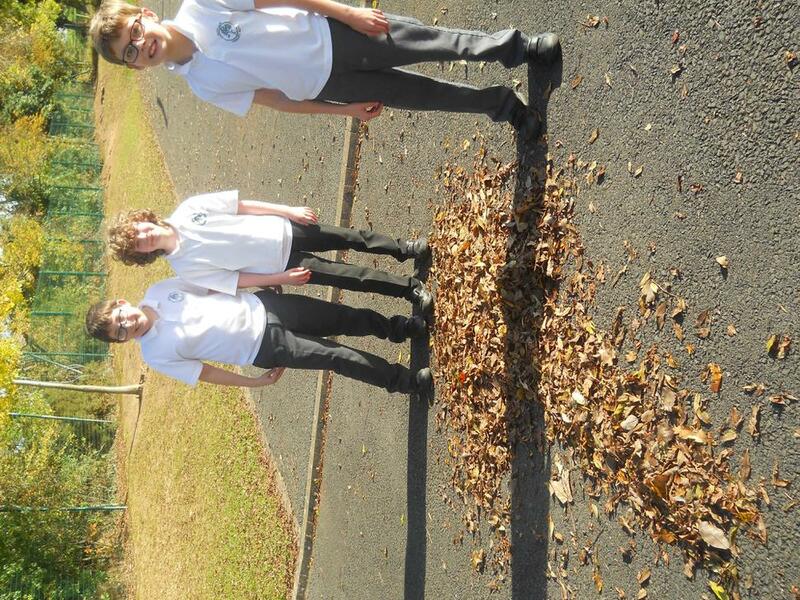 They have had lots of fun! 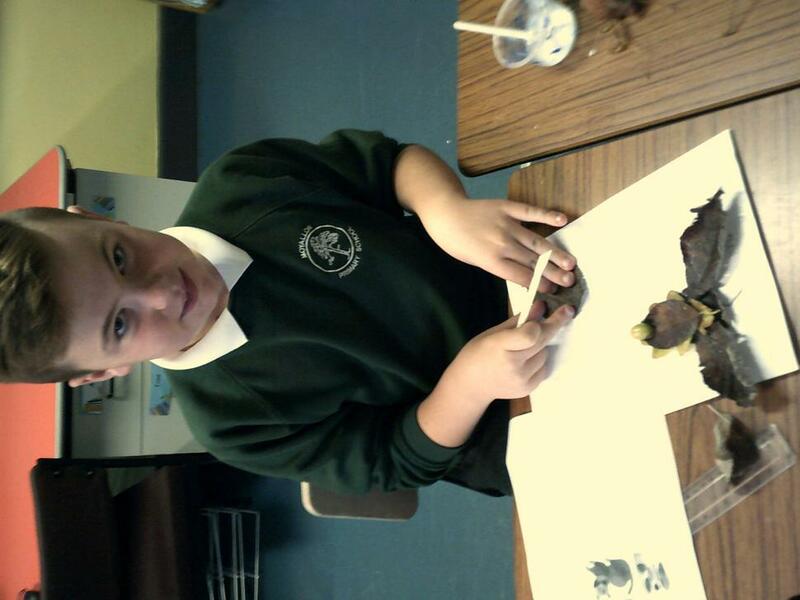 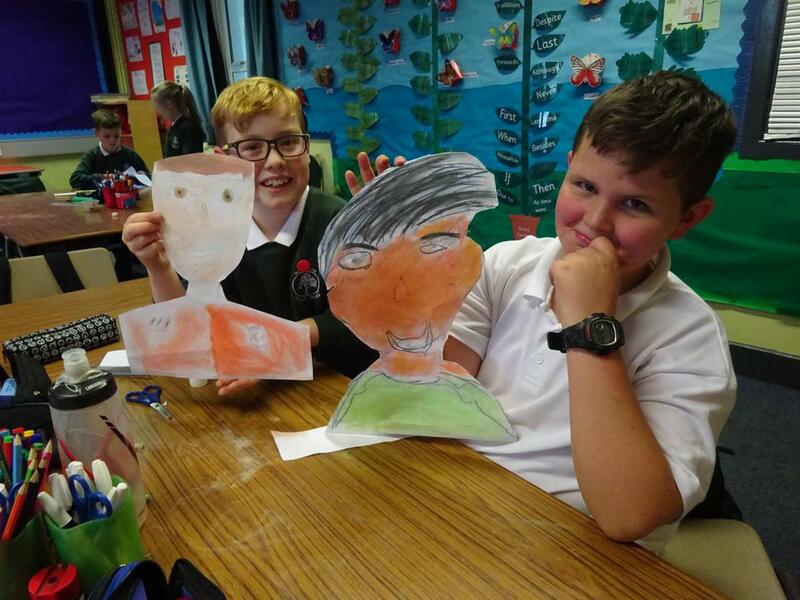 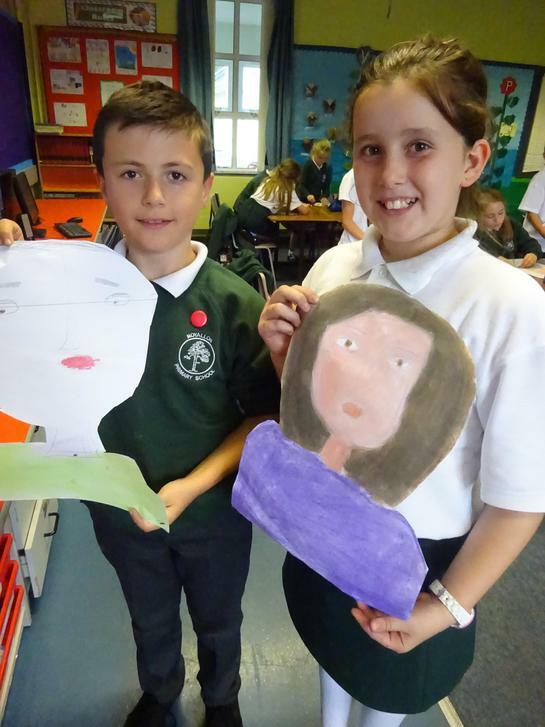 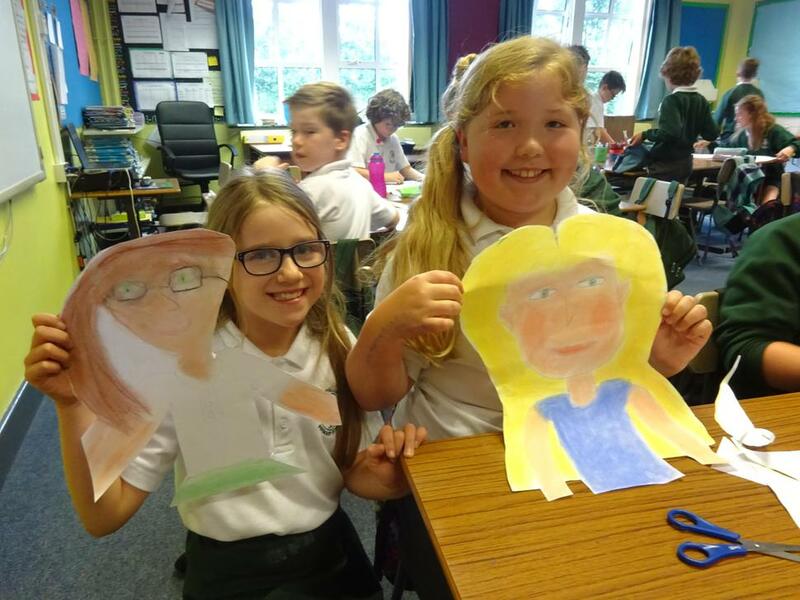 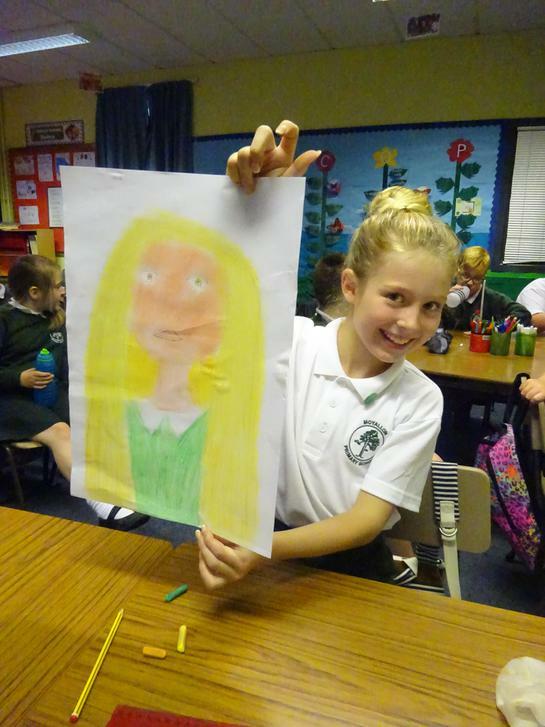 P.6 showing their art work. 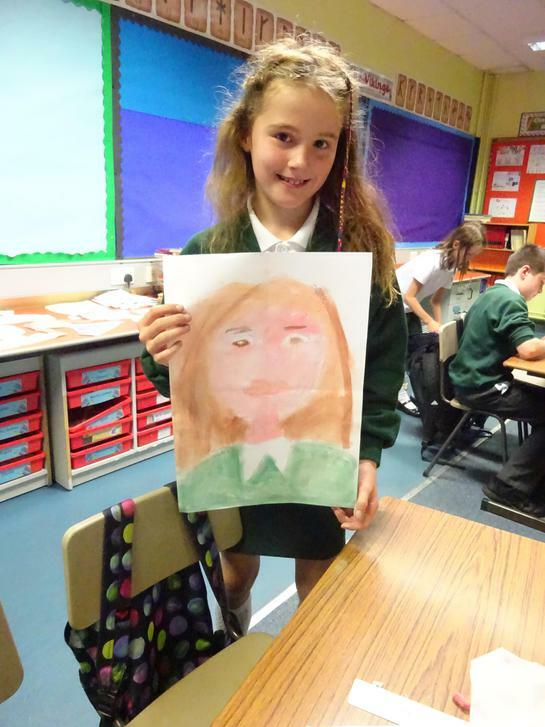 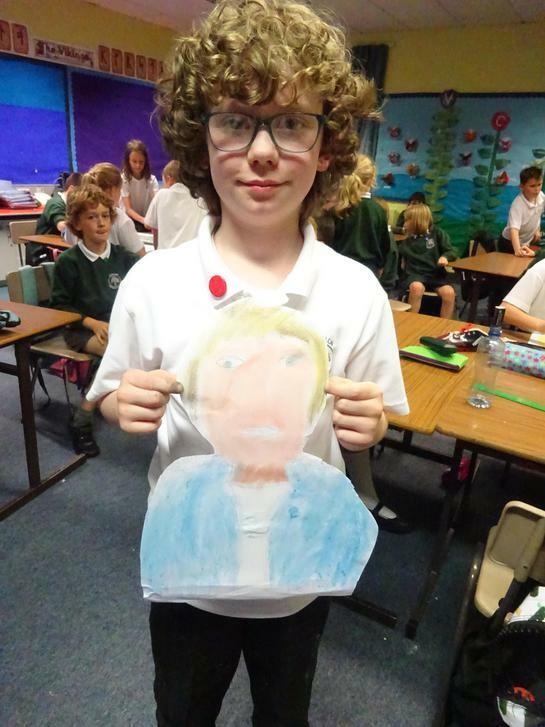 They drew self portraits and coloured them using pastels.